It was a rainy Sunday. It poured and poured. Then it cleared a bit and the Sun shone, throwing a massive rainbow across the sky. The clouds came together with greater vigour. It thundered and rained again. This interplay of clouds and the Sun restricted the kids indoors. Multiple rounds of indoor games happened but that did not kill the boredom. Home work was completed, words games played, cupboards arranged…..the day seemed too long. Hunger pangs kept coming and were satiated. It was then we decided to bake some healthy cookies together. It was great fun for the kids who helped in cutting the cookies. In a deep bowl, cream together butter and sugar till light and fluffy. Add vanilla essence. Whisk together whole wheat flour, oats, almonds, baking soda and salt. Add flour mix to butter sugar mixture and stir with a spoon. The mixture will resemble bread crumbs. Add 2 tablespoon milk and knead till the dough comes together. The dough should be soft and pliable. It should not be sticky. Add 1 teaspoon milk only if the dough feels dry. Take walnut size balls of dough and flatten them. If you want cookies with clean edges, use a cookie cutter or a lid of the bottle. Press firmly on the flattened dough. Arrange cookies on the baking tray about 1 ½ inch apart. The cookies will expand while baking. Bake for 18 to 20 minutes. The cookies will bloat and then flatten while baking. The cookies should brown uniformly. Turn off the heat and transfer the cookies to the rack to cool. Store in an airtight container. This recipe gives about 30 cookies. Such lovely and simple cookies. Loved to read that kids enjoyed cutting the cookie shapes. 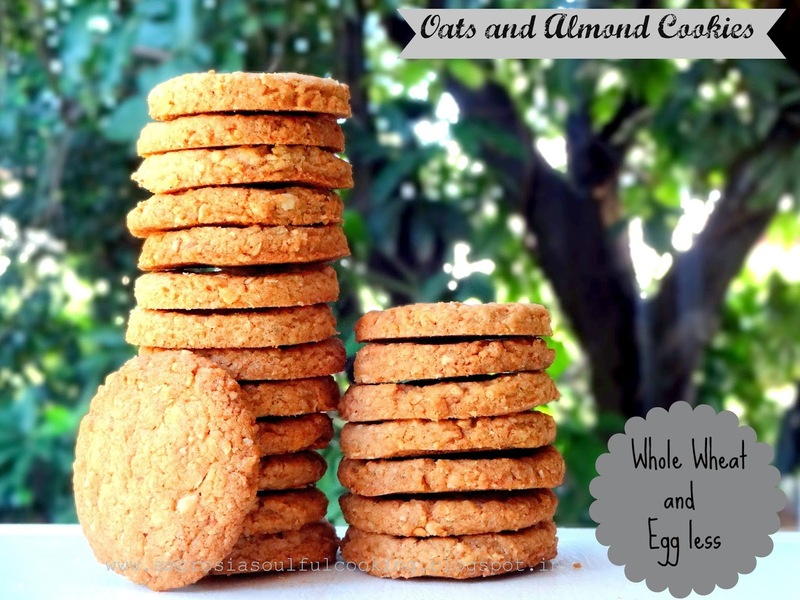 I made two batches of these cookies, replacing almonds with baby bits of cashew. They turned out awesome :) Thank you so much for the nice recipe! Thanks Viji, I am so happy that your family loved the cookies. Goodies are best enjoyed with family and their liking the recipe is the best award. Wish you many more such wonderful moments. 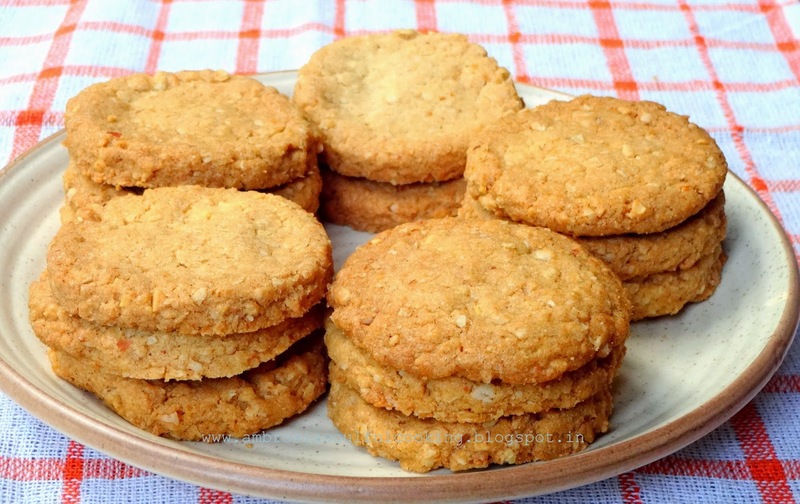 Hi namitha - I made a batch today and the cookies were really good. I usually eat half to taste test, but ended up eating 2 full ones :) they have the perfect digestive biscuit texture. One QN though, my cookies came out a bit pale and not golden brown as yours. I substituted water for milk in ur recipe. Could that be the reason ? Hello Prasanna, the difference in colour could be due to not adding milk. If the biscuits retained shape and tasted good, you got them right. Also try whole wheat chocolate cookies. I am sure that you'll love them. Hi Namita ... I am a part time home baker from Bangalore. 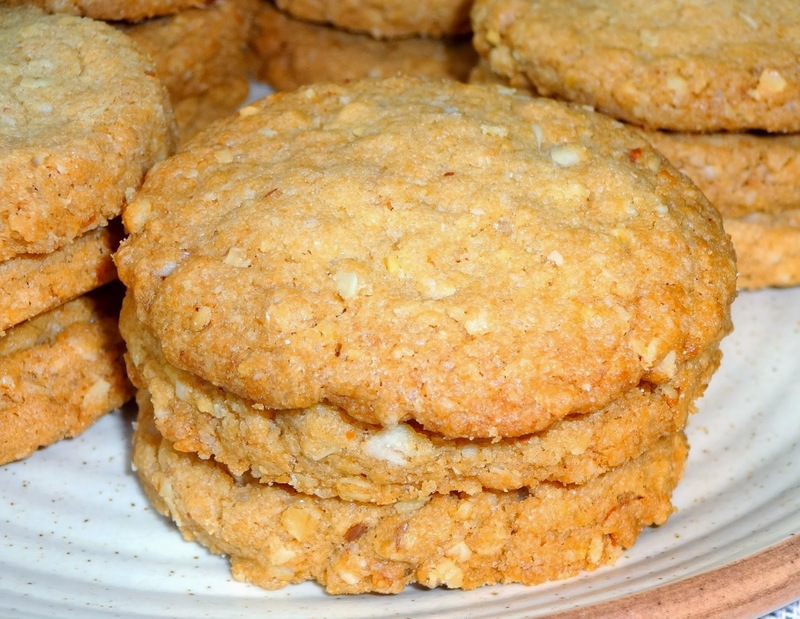 I tried these cookies and baked them a few times for people. I also taught these in my baking classes and everyone loved them. Every now and then someone mentions that they ate my cookies at a birthday party or a friends house. Thanks for sharing your delightful recipes. Much appreciated !!! Hello Anshita, I am so happy to hear from you. It gives me immense pleasure to know that the cookies are loved and appreciated by all. Hope you try out many more recipes and enjoy them. Hi, how many would you get out of this recipe? Hello Binu, As fas as I remember, I got about 24 cookies.